Mathew Seiyefa, who hails from Bayelsa State, was before his new appointment the most senior director in the DSS – assistant DG. He was also the Director, Institute of Security Studies, Abuja. 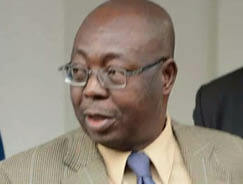 Mathew Seiyefa is also a member of the National Institute. He has been a very active force within the State Security Service and worked as the Director of Operations within the system.